Memphis College of Art announces Betsy Brackin Burch’s exhibition, Knowing Places, on view Nov. 24–Dec. 10 in the Rust Hall Alumni Gallery, 1930 Poplar Ave., Overton Park. 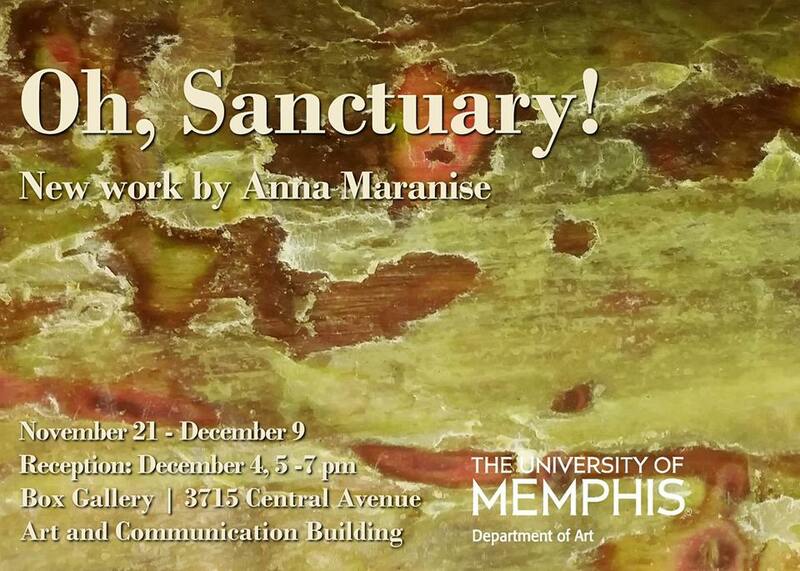 A reception will take place Friday, Dec. 4 from 6–8 p.m. Originally from West Memphis, Ark., Brackin Burch’s work is tied to the beauty of the distinctive regions where she has lived and traveled. “From growing up in the Mississippi Delta, passing through New Mexico, or spending summers in Greece, my landscapes are imbued with the rich culture of each area,” said Brackin Burch. Knowing Places includes watercolor and acrylic landscape paintings from New Mexico and iconic scenes from the Mississippi Delta. Brackin Burch received her BFA in painting from Memphis College of Art in 2000. She was a recipient of the 2013 ArtsMemphis ArtsAccelerator grant, and was the featured Arkansas DeltaMade Artist in 2011. 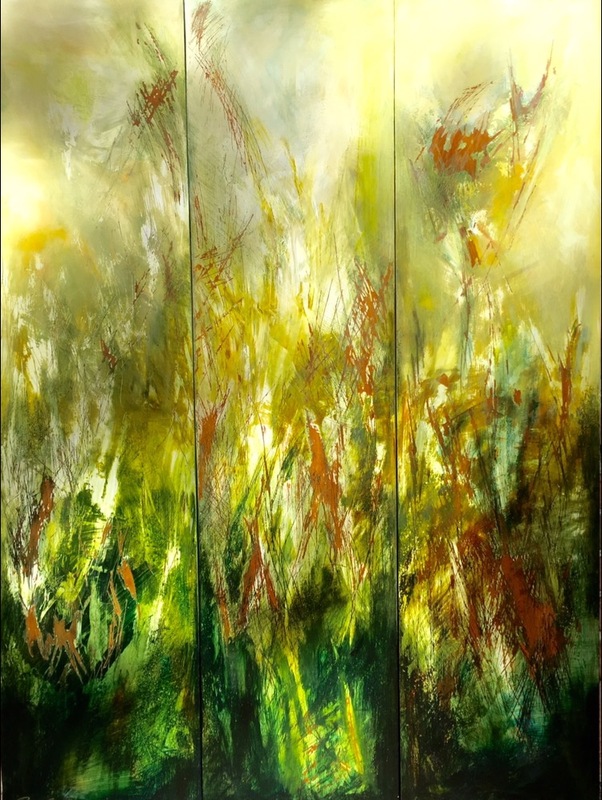 Among these accomplishments, Brackin Burch has exhibited work in notable galleries and other locations including the Rymer Gallery in Nashville, Tenn., the Arkansas Arts Center and the Arkansas Governer’s Mansion. Gallery hours for Knowing Places are Monday–Friday, 8:30 a.m.–5 p.m.; Saturday, 9 a.m.–4 p.m. and Sunday, noon–4 p.m. MCA exhibitions and receptions are free and open to the public. For additional information, visitmca.edu. Register for this event at Eventbrite. Memphis is a vast, in many ways untapped market for small business owners, especially in creative fields. Recent years have seen many local artists eagerly entering the marketplace, ready to use their unique skills and brand of creativity to build a business. Moderated by Josh Horton of Hieroglyph and Creative Works, Creatives in the City will assemble a panel of creative professionals who have already navigated the startup process for a discussion on the opportunity that exists locally and the challenges of a creative business. Our speakers will share their personal stories of success and answer questions on the Memphis entreprenurial experience. Panelists include Joann Self Selvidge of True Story Pictures, Joel Halpern of Loaded For Bear, Nicole Heckman of Little Bird Innovation, and Edward Bogard of SoGiv. Held at Memphis College of Art's Calicott Auditorium, the event is free. Reception at 5:30pm with panel discussion at 6pm. Please register at Eventbrite. For more information please contact amy@highgroundnews.com. 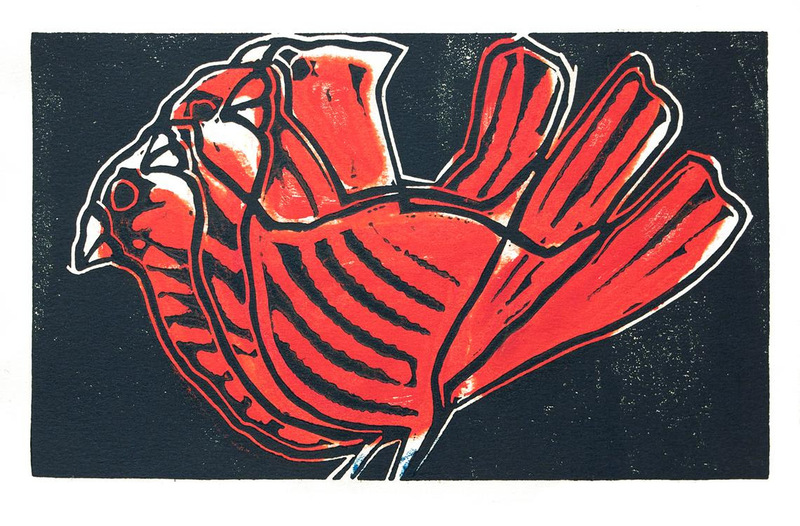 Annually, from 1950 to 1984, Ted Faiers created a holiday woodcut artwork to send to friends, family, and colleagues. DLG brings these thirty-plus works together on the walls of the Memphis Temp space and on the pages of an exhibition book, both titled Seasons' Greetings. The annual cards, small in scale but all with Faiers's powerful line and playful spirit, are true keepsakes. Many of the images aren't merely holiday-centric but a smaller version of the works coming out of his Memphis studio that year. As his son Greg reflects: "The cards are as diverse in style and substance as his paintings and prints are. Some are whimsical, some are serious, some leave you wondering what to make of them. No matter what they represent, however they are a unique expression of my fathers' Christmas spirit." Young Bird with Honeysuckle, 1963, woodcut, 9x6"
In the essay written for the book Alice Bingham Gorham states: "Individualy the cards capture the spirit of the season through his unique sense of design and color and serve as a miniature version of his artistic vision. Together they form a treasured record of who he was and his life experience in Memphis: his self depricatiing humor, his love of family, particularly his daughter Lydia, his delight in nature, especially trees, flowers and birds, his critical eye on the world around him and his innate wisdom." This group of woodcuts follows his career chronologically: regionalist-inspired landscapes, Indian Space abstracts, simple naturalistic shapes, pop figures, and political imagery. 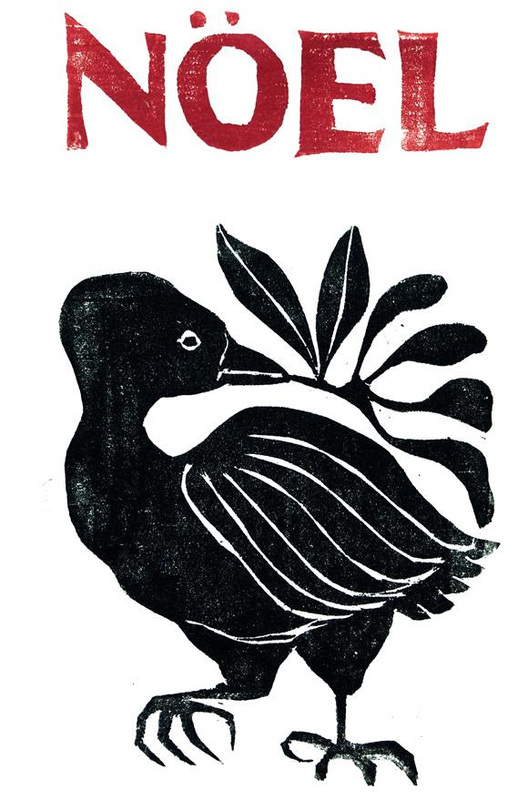 This DLG exhibition is the first time the Faiers holiday woodcuts have been shown in their entirety. Come help us get lit. We flip the switch at 7pm, but the fun begins at 5pm. Exhibits by more than 70 artists. Ghost Town Blues Band performs at the Water Tower Pavilion. Art - Music - Food. Event is free and open to the public. Food and drink available for purchase. 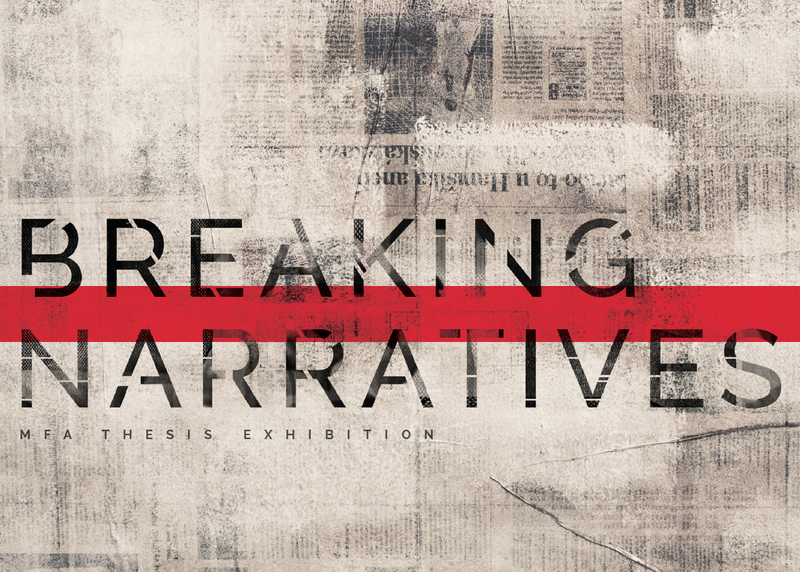 Memphis College of Art announces Breaking Narratives, the Fall 2015 MFA Thesis Exhibition, on view Nov. 16 through Dec. 12 in the Hyde Gallery of the Nesin Graduate School, 477 S. Main St. An opening reception is scheduled for Friday, Nov. 20 from 6–9 p.m. Breaking Narratives is a varied body of work created by five MFA candidates set to complete their degrees in December. Artists include Carrington Lemons, Annie Lynne, Gil Ngolè, Ryan Steed and Olivia Wall. The media of work ranges from photographic series to video projections, sculpture and interactive installations. Lemons draws her inspiration from memories of pickling fruits and vegetables with her family in Cottonwood, Tenn. The idea of pickling as a means for preservation led her to create “memory jars,” which she describes as self-portraits, capturing memories from childhood that have shaped her as a person. “My work focuses on how one can take something as intangible and inconstant as a memory and capture it as a permanent physical object,” Lemons said. Lynne’s interactive installation titled “For the Dragonfly” utilizes branding strategies, social media and personal interactions, and promotional materials to explore the stigma surrounding depression and other mood disorders. “The installation takes negative phrases and thoughts which often plague individuals struggling with depression, and repurposes them into a beautiful installation,” said Lynne. Ngolè describes his sound sculpture installation as “sculptural artifacts of a journey throughout time.” His installation features two lightweight canoes suspended in air, made from PVC pipe and window screen—alluding to Ngolè’s personal experiences with forced displacement in the Republic of the Congo. Steed’s photographic series, “Went Out for Cigarettes,” is a social and cultural commentary on the South; a region he says prides itself unlike any other. “Southerners are curators without white gloves,” Steed said, “constantly witnessing things dying away, and always trying to revive them.” Wall’s three sculptural installations focus on how individuals process incomplete and inaccurate information to form conclusions—an attempt to make sense of the world around them. “This work is based on tendencies to believe that certain phenomena are related; the innate human desire to organize chaos in order to comprehend reality,” said Wall. Gallery hours are Monday through Friday noon–5 p.m., and Saturday noon–7 p.m. All MCA exhibitions and receptions are free and open to the public. For more information, visit mca.edu.